DBEXform has been focused to make database application development and use as easy and quick as using word processor or spreadsheet without losing power of traditional tools. This is based on notice that usually forms are implemented on few elementary routines, but developer had to write or copy them all over again. 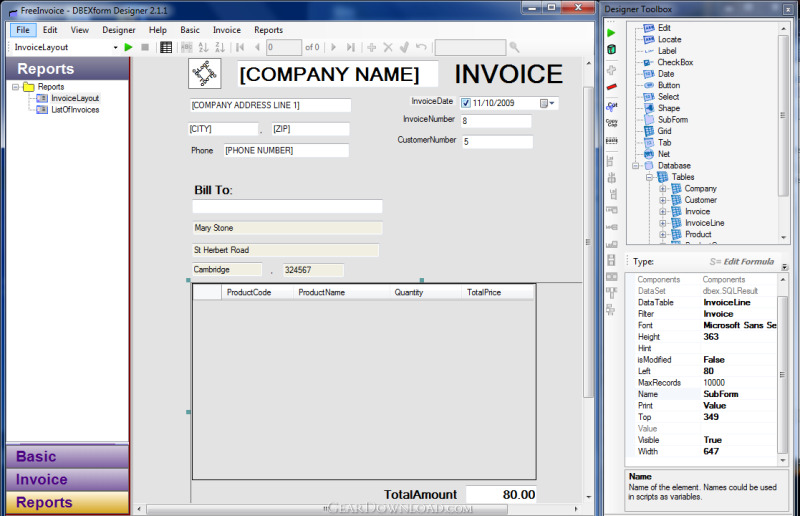 DBEXform will be made this process on background and frees designer to concentrate just on building user interfaces. This download (DBEXsetupEasy.exe) was tested thoroughly and was found 100% clean. Click "Report Spyware" link on the top if you found this software contains any form of malware, including but not limited to: spyware, viruses, trojans and backdoors.